Our many years of experience and professional expertise along with the most skillful experts in the industry have made the Max Keren Company to be the leading and most known company in the local cargo transportation industry. vehicles, forklifts, iron machines, pipes, heavy flats, wood and more. The shipping is handled using semitrailers, who take the luggage to the customer from any desired destination and to any desired destination. The transportation process requires supervision and control on every level, from the beginning of each process and up to its final steps. We believe that cargo loading requires planning, organization and strict management, in order to supply the best service and therefore the best result as well. Transportation of containers is a safe method for various cargo types. At the Max Keren Company, you can transport containers of various weights, and each one of the transportations is executed from the Israeli harbors in means of importing and exporting from all around the country. S.M.E transportation service is the leading company in the logistics solutions industry regarding cargo transportation. 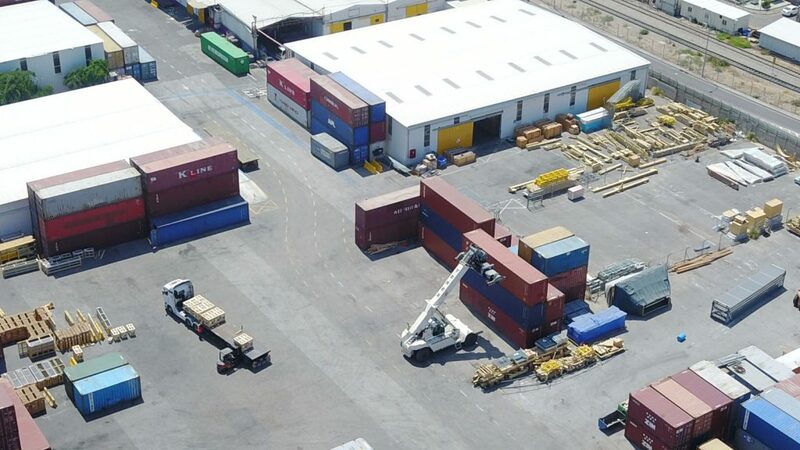 We supply transportation services using cranes, lifting heavy luggage and transferring them to the customer’s site and unload them at the destined location. The lifting of the cargo is don’t by permanent cranes loaded in trucks and with the help of a professional, attentive and experienced team with a heavy emphasis regarding safety. All of the cranes and equipment are held under constant supervision and strict control meant to check the system’s intactness in order to safely load the cargo and make sure that the whole process will be performed in an effective and right way by a mantle of experts and with the help of the right and intact equipment. Loading cargo using cranes is an action with great priority regarding the ease of transferring the cargo on the truck and unloading it at the customer’s site. This transportation saves great and valuable time as well as extra costs of loading and unloading. S.M.E transportation services has great reputation and experience transporting cargos using cranes and we’d be more than happy to continue and be there for you. Thousands of returning and satisfied customers who work with us recommend and send us new customers, and this is our most important factor for us. We we’ll always promise and deliver to keep the same higher standard thought the whole way. Our company is located next to Haifa Harbor, this advantage shortens the loading processes times, shipping and unloading of the importing and exporting of the customer’s containers. The Max Keren supplies container transportations from various destinations around the country. This certain transportation is executed using semitrailers, and the loading/unloading is performed using cranes. In order to prevent any delays in the container unloading process, a perfect match is created regarding the semitrailer arrival times, and the cranes’ availability in the desired destination set for the containers. The synchronization actions between all the factors involved are organizing the containers transportation at high efficiency, from the technical equipment and getting the various permits, this way, there’s an option to supply each customer’s container in the destined location and time, without any delay or problem. The Max Keren Company is known as a strict company that keeps the importance of every little detail as well as the details that are a part of a correct and efficient transportation, so we can supply an accurate, truthful and fast service served to your satisfaction as the company’s customers. *We can transport containers from Ashdod only to the north. Transferring hazardous substances is a complex transportation that requires vast knowledge and being strict regarding all of the environmental topics. The Max Keren Company is an experienced company in the out of gauge cargo transportations industry, with each project requiring vast knowledge and experience.